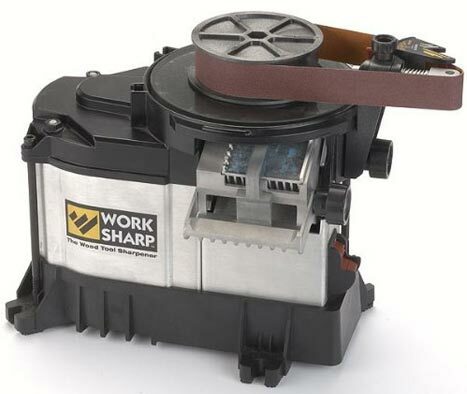 It has been a while since the release of the Work Sharp 3000 sharpening system, and like the older WS2000 system, it now has a Belt accessory that allows users to sharpen everything from pocket knives to kitchen knives. To be honest, I was surprised it took this long for the accessory to come out, but it looks like it has little in common with the version used on the WS2000. This extra time spent has allowed Work Sharp to design a better belt sharpening system that offers more flexibility. The Belt System mounts onto the WS3000 without the need for any tools or modifications, by using the stock mounting screw hole, and the accessory t-slots. The main benefit this has over the WS2000 version is the adjustable sharpening guide. This adjustable guide now lets users choose any sharpening angle between 10 – 30 degrees. You also have the option of removing the guide all together and go free handing, if your skills are up to it. The kit includes everything needed to get started, minus the WS3000, and includes three 1"-18" belts in incremental grits. Video after Read More.